Adrian Feofanovych Kaschenko (September 19 (October 1), 1858, farm Veselyj Aleksandrovsk county Ekaterinoslav province (now village Vesele Zaporozhye district and region) – March 16, 1921, Ekaterinoslav) – Ukrainian writer and publisher. His biography is practically not been studied. 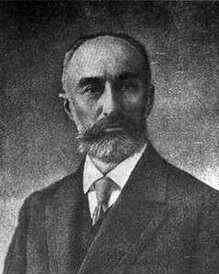 Only the essential article for it is memoirs (1920) of his older brother, scientist and zoologist Nicholas Kaschenko (1855 – 1935). The backgrounds of these memories rewritten from one article to another without any additional evidence or documentary approval. Adrian (sometimes written – Andrian; properly spelling unknown) was the youngest son in a large family of small landowners. In 1867 he entered the Katerynoslav school, but very poorly studied, not even finished the third grade and went to cadet school. He received a commission (which is unknown) and served in the army (do not know where and when). Upon his retirement (do not know when and for what reason), joined the train controller, where he served until 1917 inclusive. At the end of the service, he received the rank of State Councilor (which is equivalent to Major-General). Since 1914 he has served in his native Ekaterinoslav, led local "Prosvita (Enlightenment" society. 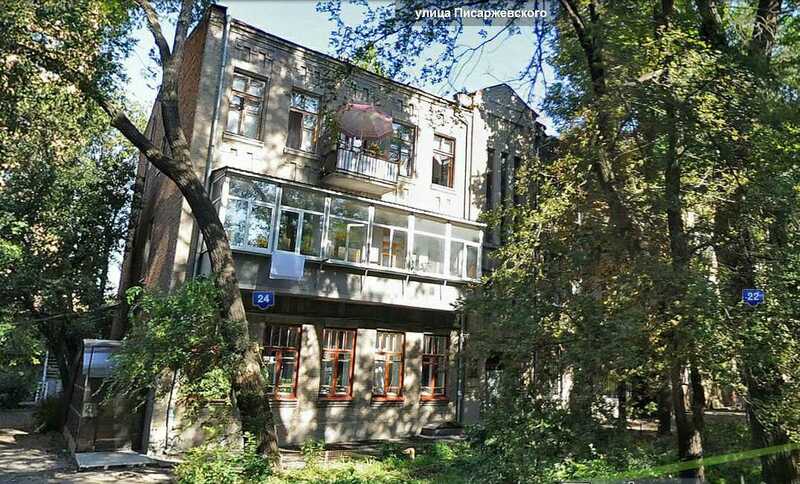 In 1916 – 1921's he hired in the house on the street Basejna 24 (now – Pisarzhevskogo, 24). Here, in his apartment, worked publishing, led by him. At the end of 1917 A. Kaschenko seriously ill (stroke) and could not return to active life. Adrian Kaschenko died in Ekaterinoslav and was buried in prestigious Sebastopol cemetery (name it comes from the graves of soldiers of the Crimean War of 1854 – 1855, who died in Ekaterinoslav). "Grateful" descendants destroyed the cemetery and turned it into Sevastopol park. Tomb A. Kaschenko was thus destroyed. The fate of the archives and manuscripts A. Kaschenko unknown. Fragmented preserved his letters to publisher G. Markevich (Poltava), Ukrainian activist Peter Stebnitskiy (St. Petersburg), but this correspondence is not collected, studied nor published. Photographs of A. Kaschenko know only two – one of which we present. Creativity A. Kaschenko can be divided into three periods. In the early period (1883 – 1887 years), he was engaged in literary work only sporadically. In the second period (1903 – 1908 years) the writer brought to contemporary problems of Ukrainian life, particularly the revolution in 1905. The third period (1912 – 1916 years) has been the most rewarding and meaningful. Kaschenko finally found himself as an author of historical novels and popular essays on the history of Ukraine, in fact, the history of the cossacks. Immediately after the February Revolution of 1917, when the obstacles to the written word falled, A. Kaschenko organizes "Ukrainian publishing A. Kaschenko in Ekaterinoslav." He was not only an organizer, but the chief worker of the publisher. Much of publishing products were historical novels of Kaschenko. Publishing picked a lot of time and effort and it seems that in 1917 Kaschenko has not written new works. After Kaschenko's disease publishing were carried by other people (unknow who they were), it worked in 1918 and 1919, and only Moscow "liberators" put an end to it. Adrian Kaschenko thus not managed to write anything about the Bolsheviks, and Bolsheviks, for their part, have not found the time and inspiration to shoot "former imperial general." They remember him only in 1932, declaring Kaschenko "Ukrainian nationalist". All his works were seized, and his name falled under complete ban. Some rise of interest in his work in 1991 – 1992 years was reduced to reprint three collections of his historical novels and changed to the usual for Ukraine indifference. M. Zh., August 29, 2013.